This 1000 feet roll of CAT5e network cable is high quality cable that is solid copper, so you can expect good bandwidth of up to 1000mbps from it. You can also use it with Video Baluns for reliable analog video runs for long distances. Solid copper cable is different from the cheap cable on the market that is CCA or CCS, which is only copper plated cable and the core is either aluminum or silver. What is the rated use for this cable? Is it approved for in wall, conduit, UV resistant, etc. Please advise. Thank you! 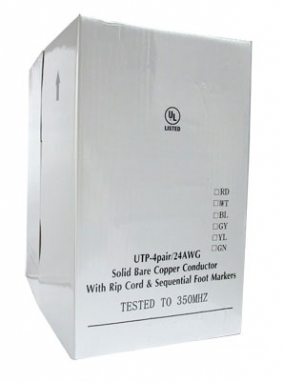 It is UL listed wire for indoors use.